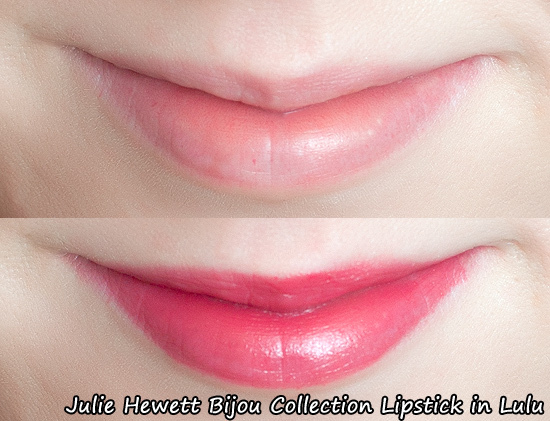 I only own one Julie Hewett product, it’s a lipstick that LondonMUGirl made me buy. She doesn’t know she made me buy it… it was a blog lemming thing. Still unforgivable though. Anyway, the reason I’m mentioning it is because I went to Shepherd’s Bush yesterday to check out the new and improved PAM store. 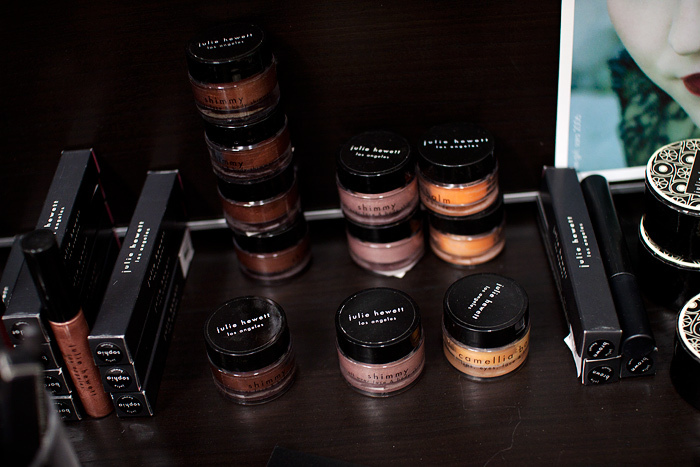 If you don’t know about PAM, they’re a professional makeup shop that caters to makeup artists and students. Of course, they’re open to the public too so if there’s anything that catches your eye, you’ll be welcomed in store or on the website to have a closer look. 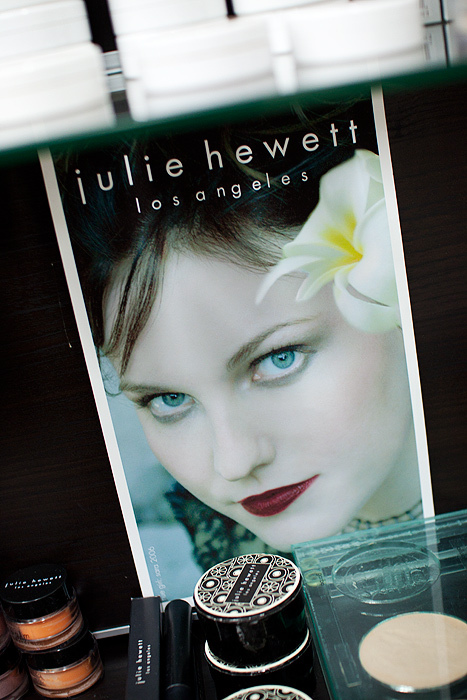 I own one Julie Hewett lipstick from the Bijou line of sheer lipsticks. The shade I have is probably the most well-known, Lulu. 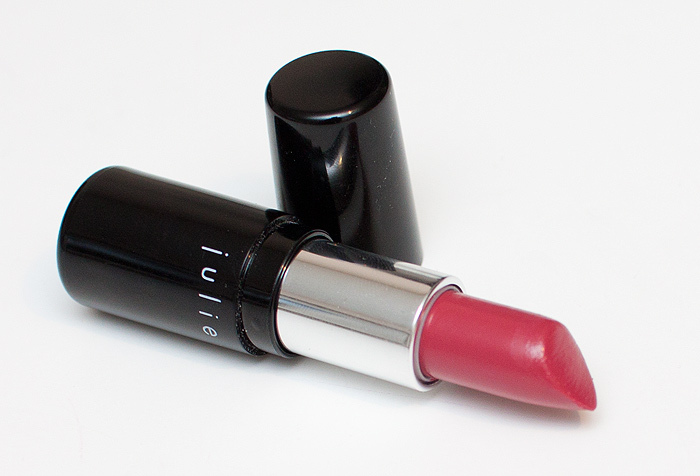 It’s a true rosy pink on my unpigmented lips and really not that sheer after all. Excuse the dust, Lulu is my ‘handbag’ lipstick and I dragged it out of a tissue-stuffed side pocket for the photo! It’s very glossy, light and non-drying. It doesn’t last too long but is ideal for touch ups on the go and to give an overall polished look. Hence it always being in my handbag! The Julie Hewett brand is only stocked in a few places online in the UK and as far as I’m aware, PAM are the only stockists you can visit to have a look at the products in person before purchasing. While I was there, I fell in love with this promotional image. The stark contrast of the dark lips with the barely there makeup enchants me! 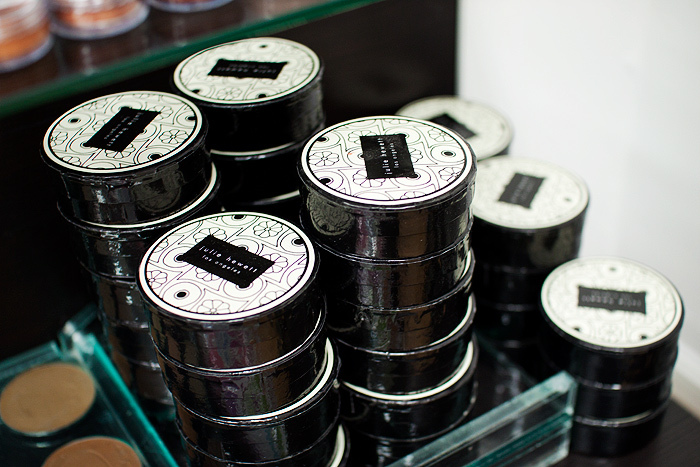 Have you tried anything from the Julie Hewett range? Want to? I’d like to try it! But what are these priced at? Do they burn a hole in the pocket? 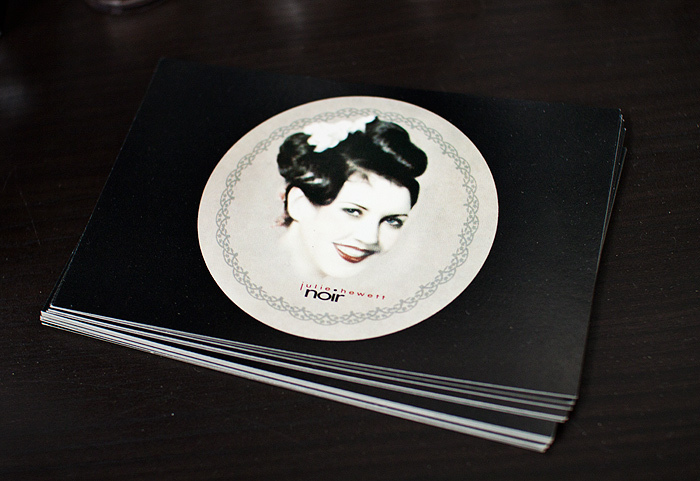 That promotional picture of the dark lipstick with the barely-there make-up – LOVE IT. 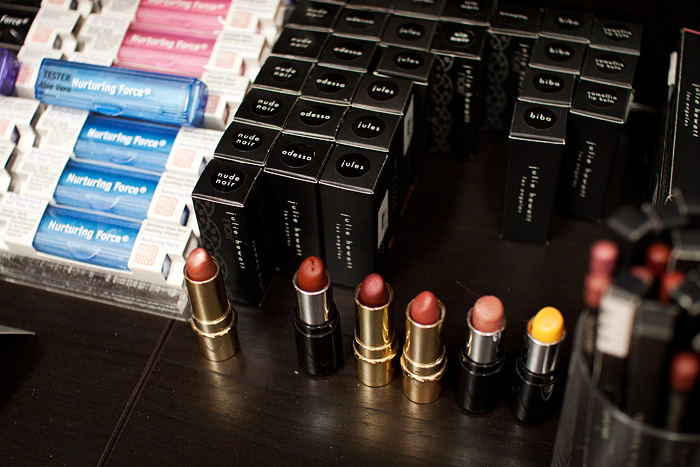 I think I need that lipstick now… what a shame we’re going into Spring and Summer! Not appropriate make-up for this time of the year is it really. Ooh ooh ooh I see Nurturing Force Blotting Papers next to the lipsticks those are nice. Of course, Lulu looks wonderful on you! 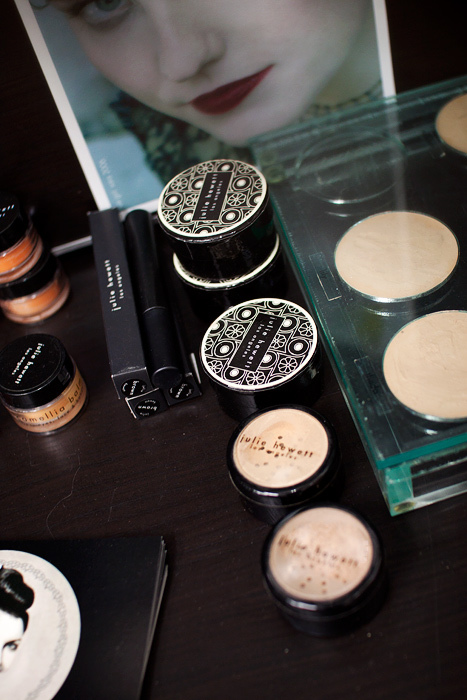 i’m now using julie hewett cheek color… its just the perfect shade to give me that natural glow!